HIV positive children are discriminated against in society. This is for no fault of their own. 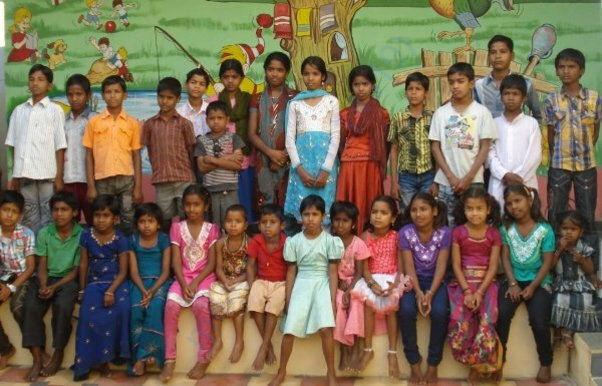 These children are called ‘AIDS Orphans’- and these are the ones that Asha Jyothi gives a home to. Asha Jyothi is located in Gajwel Mandal in Medak District of undivided Andhra Pradesh. 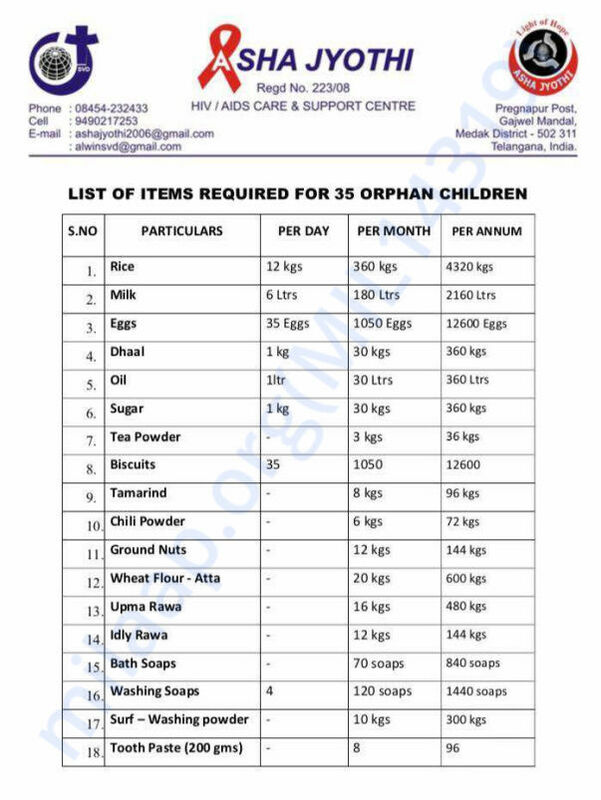 It is a Registered Non-profit Organization working with an objective to care, share, educate and empower HIV infected children known as ‘AIDS Orphans’ and help them lead a normal life as much as possible. Established in the year 2006 Asha Jyothi, true to its name, has truly emerged as the ray of hope for the people especially children affected with the dreadful disease. 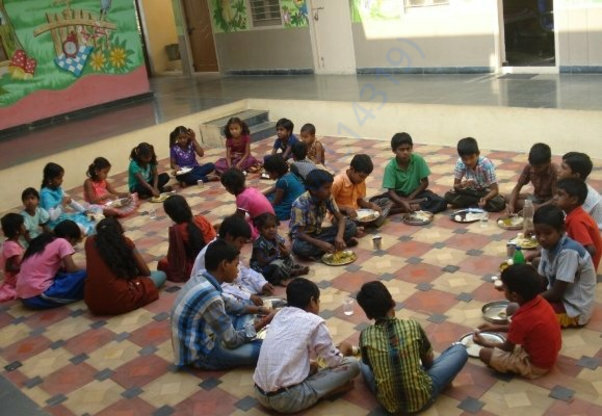 These children are sheltered at the Arnold Children’s home run by SVD Society and shelters around 35 children. The children need lot of affection, care, support counseling and constant monitoring. Apart from being HIV positive they are troubled by the feeling of insecurity and discrimination at every step. The children look healthy outwardly but fall sick as their immune system is weak. HIV positive child faces trauma and fear caused by the loss of parent and also from the discrimination they meet from all corners. In addition there is always the question of discrimination due to the stigma attached to the disease adding to their emotional distress. All the children are sent to nearby government schools so they they are not deprived of education. But providing higher education to these children is proving to be quite a difficult task as some schools refuse to admit them. Providing nutritious food, clothing, shelter, medicine, care and also supplementary food is quite a challenge for Asha Jyothi and major expenses go towards providing for these basic requirements. While Asha Jyothi goes about its task, it received a major jolt in 2013 when the government withdrew its financial support from all the HIV/AIDs centres in the Country. Despite the set back and the daunting task of taking care of so many mouths, Asha Jyothi is carrying on the noble task with the same vitality, enthusiasm and commitment, nevertheless tussling to provide the basic requirements to the ill fated children. We are fundraising for Asha Jyothi’s operational expenses. Your contribution can help bring a smile to these children’s faces- who are already fighting a battle. Hope the kids have a great future!